"Supreme Hydro Engineering Pvt.Ltd. 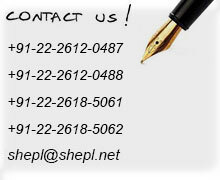 ",(SHEPL) is one of the leading single source Integrated Service provider of complete Marine, Diving & Engineering services to oil & gas industry. We have significant expertise in the management of fast track projects from design to completion.